Harmonix are veritable kings of the music game genre and it seems they are not content to sit in the realm of “music games” any longer. 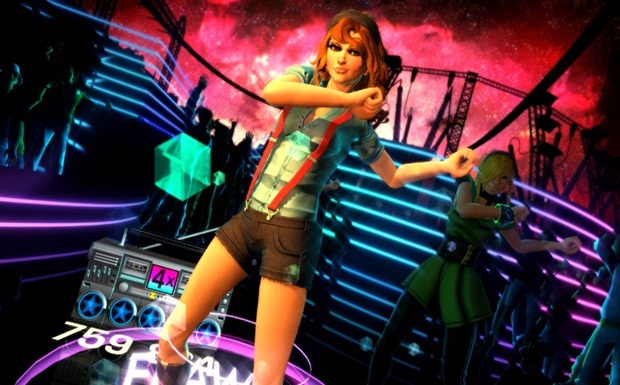 The recent release of rock band 3 with its pro mode sees games taking a step further into the realms of realism and Harmonix are continuing this trend with their new game for the Kinect, Dance Central. 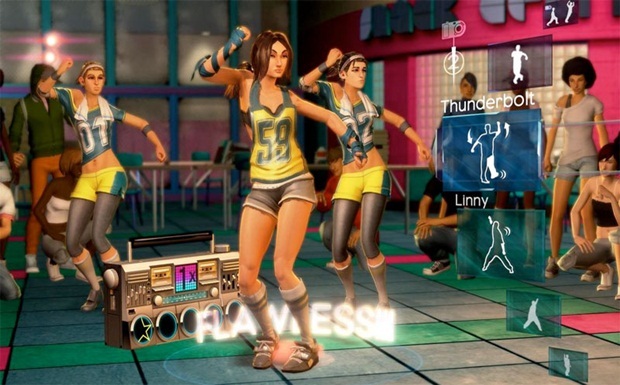 Dance Central, as you may have guessed, is a dancing game for Microsoft’s new Kinect hardware. Using the Kinect Dance Central is able to monitor you’re entire body, so you need to forget that haggard old dance mat of yours and actually crack out some real dancing for once. 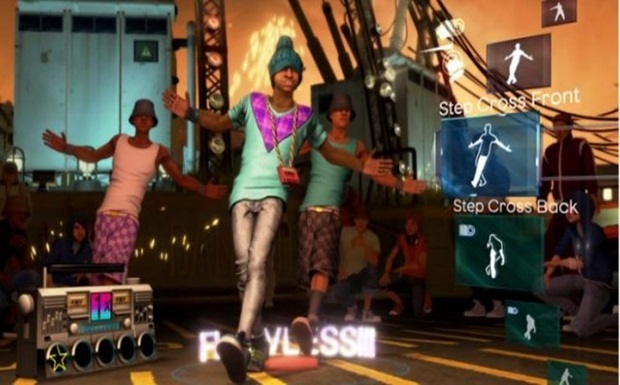 With this in mind Dance Central adds a layer of realism to the dance game genre that almost makes it a new breed. Sadly, this realism is a double edged sword. In one sense Dance Central is a unique and realistic dancing experience. You need to go into the “break it down mode” and learn your dance routines step by step for each song and then put it all together in the actual performance to get the high score. As you dance you’ll see a red outline highlighting whichever limb of yours is out of sync with the routine. Provided you can correct all of this you’ll be graced with flashes of either “nice” or “flawless,” indicating that you’re gaining the most amount of points and also increasing your score multiplier. You know which moves to do based on little cue cards that stack up in the top right corner with image cues on them. This is where the problem arises, as these cards often don’t give you enough information to pull off the moves in real time the first time you try a new song. Whereas in traditional music games and old dance mat orientated titles you can jump in and dance to your favourite titles instantly, with Dance Central you really need to learn and practice the moves for each song to stand a chance. This means you need to take about fifteen minutes to learn the moves that are unique for every single song. Admittedly the variety of moves is impressive and, it must be noted that, the game cleverly alters the whole dance routine to adapt to whichever difficulty you select. 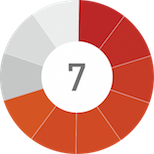 The set list too offers a gentle progression in difficulty and there is generally a great variety ranging from the kind of dance and electro music you might expect, to some more gentle pop tracks. The problem with it all comes from the same sense of depth that make Dance Central such an intriguing music experience. You can’t just get a bunch of friends round to have a laugh on account of the knowledge required of each song’s separate dance routine. There is also another obstacle in the way of an enjoyable party experience, and this comes in the form of some sinfully absent multiplayer modes. For a start there is no head to head dancing experience where two people can dance at the same time. I don’t care if it’s some kind of hardware limitation that might be causing this, it really needs to be sorted out. The only alternative for a two player mode is the dance battle which involves two people taking turns to score the most points, but the fact that you repeat the same moves each and the fact that you don’t know your scores until the end of the game makes the mode a poor attempt at reconciling a multiplayer mode. In terms of presentation the game sadly feels like Harmonix by the numbers. The graphics are generally solid, but the character models and textures seem to have made absolutely no progression from the Rock Band series. With this in mind I also found it frustrating that the ability to create your own characters, a staple of the Rock Band franchise, was strangely absent in Dance Central. Sound is naturally a hard category to judge when it comes to music games. The set list definitely deserves commendation on account of its diversity, and the sound effects too are impressive in how they give you tactile feedback on your performance in the game. The major let down of the audio side of things is the voice acting for the characters. Each character has a handful of lines they say after you complete a song and, it must be said that, these are the most annoying things ever. The voice acting is terrible, the cheesy monologues about being the best are a travesty and I just cannot contemplate who may have thought this would’ve ended well. If you decide to get your groove on with Dance Central you’re actually going to find a reasonable amount of content waiting for you on the disc. The basic set list is long enough, and the fact that the dance routines for each song change dramatically with each difficulty really sets you up for quite a lot of dancing action. Couple with this the promise of regular tracks being released as DLC and you have a lot of game for your dosh. Dance Central is actually quite a big step for rhythm action games, but I get the feeling that it will lay the ground for superior titles in the future. The game works well and is clearly the only real option for people who want to dance seriously, but the fact that you can’t just pick up and play seriously limits the game’s appeal. If you and a few friends want to do some serious dancing then you won’t go wrong with Dance Central. Just be aware that the two player modes are somewhat lacklustre.